Knight Moves Cafe in Teele Square, Somerville is a board game cafe with hundreds of titles to play, and great coffee. Your living room away from home! Good selection of games and coffee/cake however lights are extremely bright and chairs not as comifortable so olayong for hours isn’t ideal. Otherwise good spot to spend a few hours! If you love board games, this is the cafe for you! there are literally 100's of boardgames and various versions of board games. The latte wasn't half bad either. I would 10/10 recommend. I HAD THE MOST FUN HERE. I went to the one in Cambridge. We played Risk and Carasconne. It's a little pricey however, but it's cheaper than buying all the games. If you want to try out a game before buying it, it's a good idea to come here and try it out prior to purchase. I'm excited to go to the Brookline branch because they have 3000 boardgames which sounds like a dream. The idea of a cafe where you can chat with friends over tea or coffee and a board game is such an excellent one that I can't believe I've never seen a place like this before. It is awesome. I appreciate the cafe's great game selection, delicious tea (MEM tea...yum), laid back style and helpful staff. I went with a friend but will defintely be going back with my (school age) kids. I had a great time. Much better than a boring old ordinary cafe. I love knight moves. It is such a fun place. The staff are amazing and so welcoming. And the lattes are delicious hot or cold. 5/5 highly recommend. Great place to play games with friends. Highly recommend the iced americano! I love this place! So many games to play, and the owner is always happy to give recommendations and teach a game. There are always other people willing to join in to form larger groups to play together as well. Definitely recommend going here if you love games and want to meet some new people to play with. 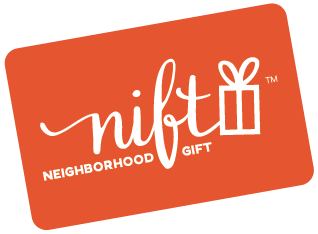 Would probably not have gone without the Nift. It was fun and would come back. Loved it! Would like there to be more food available. The cafe was cozy and had a large selection of games ranging in complexity. The art on the walls was interesting and the. Up of tea was fantastic (free water is self serve - also fantastic!). I wasn't sure how to use my nift so I didn't accurately say how much we spent when I filled out the form, but we all got a drink and then a stranger walked in and asked if he could join us (we were the only people there) and we said yes so he spent an additional $10. Friendly service, great selection, lovely evening!